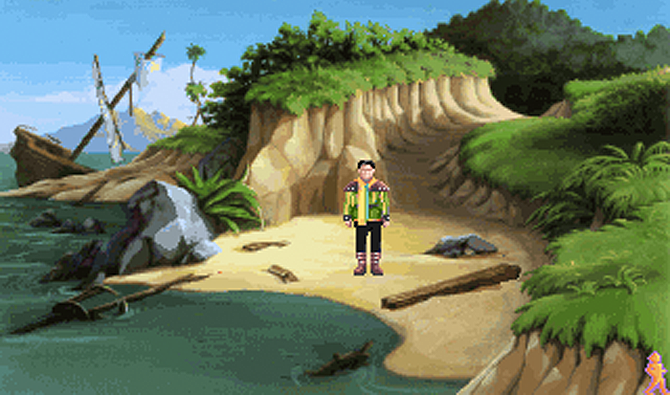 Just a quick heads-up for everyone else who spent far too much of their youth tapping around King’s Quest and totally swearing to friends that they hadn’t used a walkthrough: Sierra Entertainment seems to be prepping for some sort of comeback, after shutting the doors back in 2008. Besides the trailer, the only thing on the page is a promise that more details will be shared at Gamescom, a gaming convention happening in Europe late next week. The original Sierra built some of the most loved series of ’80s and ’90s — titles like Leisure Suit Larry, Mixed Up Mother Goose, Quest for Glory, Space Quest, and the aforementioned King’s Quest. By the mid-90s, they were primarily a publisher, helping games like the first Half-Life reach the light of day. By the mid-2000s, after major financial woes and massive layoffs, the company was a shadow of its former self. What was left of the company was merged into Activision in 2008, with rumors suggesting that Activision was considering selling the brand. Considering the “© 2014 Activision Publishing, Inc.” at the end of the trailer there, it looks like they hung on to it. The biggest lingering question: can this really be “Sierra” in anything beyond its name? While that name alone is enough to strike the chords of nostalgia in anyone who grew up at a keyboard through the 80s and 90s, it’s important to remember: people move on. Sierra has been gone for almost half a decade now — and many of the company’s most iconic members (including co-founders Ken and Roberta Williams) had stepped away long before then.